If you already started thinking about replacing your master bedroom windows, you’ll probably realize that the same window styles won’t work across the whole house. Different windows are best suited for different rooms, depending on what the room is used for, where it is located in the house, and even which side relative to the Sun the window will be on. Don’t worry we’ll explain. At the very basic level, this means you will have to make a choice: to replace the existing window with the same style or get something completely different installed in that opening. Most homeowners are happy to get the same style windows as their existing ones but in a more energy-efficient design. But getting different windows with different rooms in mind, can help balance the comfort across your entire home, and even save money in areas where maximum efficiency is not required. Today we’ll focus on master bedroom windows. Like the crown jewel of the house, the master bedroom is a room that requires the best energy efficiency, most comfort, and often additional privacy. If there is one place you should consider getting the highest quality windows, it is in the master bedroom where you sleep. The window openings in master bedrooms can range in size, which makes several window styles ideal for use in this room. Before you start thinking about which window style to get, you’ll have to decide on which material the window is manufactured from. Thankfully there aren’t too many choices when it comes to the material your window is made from, and each window material has its own pros and cons. Traditionally windows used to be manufactured from aluminum, wood, or a combination of the two materials. Later efficiency improvements resulted in combination windows manufactured from wood and vinyl. Today, most windows for the replacement market are manufactured almost entirely from vinyl. Vinyl is the material of choice because it offers great energy efficiency at a relatively low manufacturing cost. It also isn’t as prone to deterioration as wood or aluminum windows. Wood windows still exist today, but they are more difficult to manufacture and make efficient, driving the cost up when compared to vinyl. Another emerging technology on the market are fiberglass windows. Fiberglass windows are the most efficient option available today but they are much more expensive to manufacture, and therefore cost a lot more than vinyl. That’s why fiberglass windows are mostly reserved for high-budget replacements. In short, vinyl is the best material of choice for replacement windows because it offers great performance and durability for a lower price than windows manufactured out of wood or fiberglass. As we mentioned above, you should have the most efficient windows in your home in your master bedroom and other rooms where people sleep. When it comes to energy-efficiency and comfort, crank windows like casements or awnings are the best option for keeping the heat inside on a cold day. Casement and awning windows utilize compression seal technology around the frame of the window. 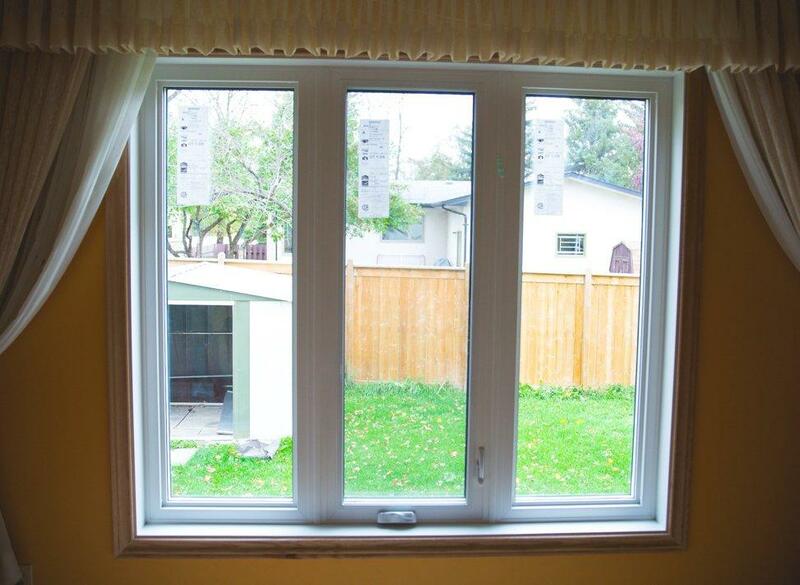 When the window sash is cranked into a closed position, the compression seal evenly fills the space between frame and sash, making the window airtight. For this reason, casement or awning windows are ideal for use in rooms that require the highest levels of comfort. Because they are designed to be longer in height than width, casement windows can’t always be manufactured to match wide openings. In a lot of homes we see, the windows in the master bedroom are usually bigger in width than a single casement window. For this purpose, it is possible to manufacture casement windows in combination with other casement or picture windows. As you can see in the video above, one of the most popular combinations for casement windows is the “casement-fix” combination (also pictured below). This combination puts together a casement window and a fixed inoperable one. The inoperable window adds extra efficiency and the operable casement part allows for ventilation whenever you want some air in your bedroom. One thing to consider when picking the window combination and arrangement is what kind of window covers you envision on your new windows. Drapes and blinds are the two most popular choices. But as you can see below, the casement-fix combination doesn’t ideally suit windows with drapes, as the joint now runs right down the middle and obstructs some of the view and natural light entering your room. If you are considering getting drapes or curtains for your new windows, combinations where the casement takes one or the other side of the window are preferable. The window can still be accessed with ease, while the middle is unobstructed. Another great option for bigger openings is a combination of three windows including one or two casements. In these combinations, the casement window goes in the middle or on the sides respectively. The pictures below demonstrate the two different combinations. The combination with the casement window in the middle (shown above) is ideal for windows with drapes or curtains. You can still open the curtains to the sides and have the window open without the wind blowing fabric all over the place. The combination below is called a casement-fix-casement and features casement windows on each side of the fixed unit. This type of combination is ideal if you are considering getting horizontal blinds for your windows. This way the blinds can be lifted to operate the window, and the unit still provides great views without the covers getting in the way. Although you should consider getting the most efficient windows for your master bedroom, it is still good to get some additional upgrades. Some of these upgrades further improve the energy efficiency of your home, but they are all designed to make your room more comfortable. Depending on where you buy your windows from, there is a good chance they already come with one or two Low Emissivity (Low-E) coatings. Low Emissivity coatings are a great add-on to windows because they serve more than one purpose. 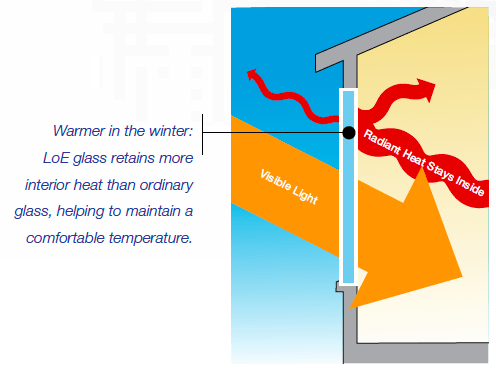 Low-E keeps your home warmer in the winter by retaining more heat inside and preventing it from escaping. In the summer the coating keeps the cool air in and reflects bad UV radiation preventing damage and fading to your home and furniture. Depending on which side of the house your windows are located and how much direct sunlight they receive, you may benefit from getting additional Low-E coatings. 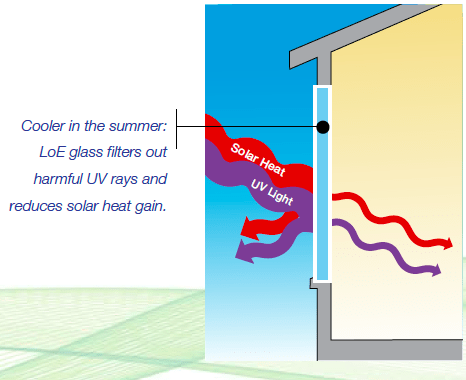 Windows on South and West facing walls generally receive more direct Sunlight and therefore more UV. It is good to consider extra Low-E coatings in these rooms. SSP Glass, known as soundproof and security glass, is another great upgrade you may consider in your master bedrooms. While security is not always a priority for master bedrooms because these windows are often on the second floor, having soundproof windows in a room where you sleep can improve your comfort and well-being even more. The inner layer of SSP windows is actually made of two panes of special glass put together for improved security. SSP Glass essentially has three panes, but two of the interior panes are bound together with a PVB (Polyvinyl Butyral) interlayer in between. This fused pane is nearly impossible to break and stays intact even after it is smashed. It also significantly reduces sound transmission and improves the window’s STC (Sound Transmission Class) performance. Top 3 Window Styles To Revamp Your Master Bedroom Overall rating: 4.9 out of 5 based on 41 reviews.